Detail : John's fifteenth solo single. 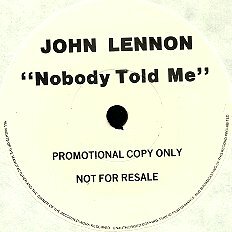 This single was issued as a trailer for the "Milk And Honey" album which followed two weeks later. Before release, I also received a promo version of this (detail pictured below), which has a B-side containing one continuous test-tone. 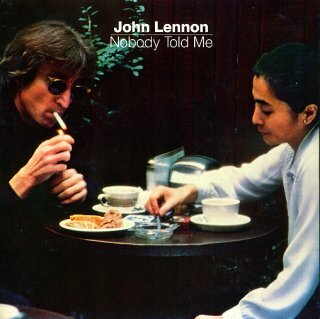 When John first demo'd this song (again readily available on bootleg), it was called "Everybody's Talkin', Nobody's Talkin'" quite probably inspired by his good chum Harry Nilsson's hit song of similar title. The lyrics are a string of paradoxes, and daily frustrations. One odd line concerns the "little yellow idol to the North of Katmandu", which is a quote from a 1911 poem by J.Milton Hayes called, "The Green Eye of the Yellow God".